Another early morning at the clinic. After my appointment, we needed breakfast before Buddha Boy heads to work. 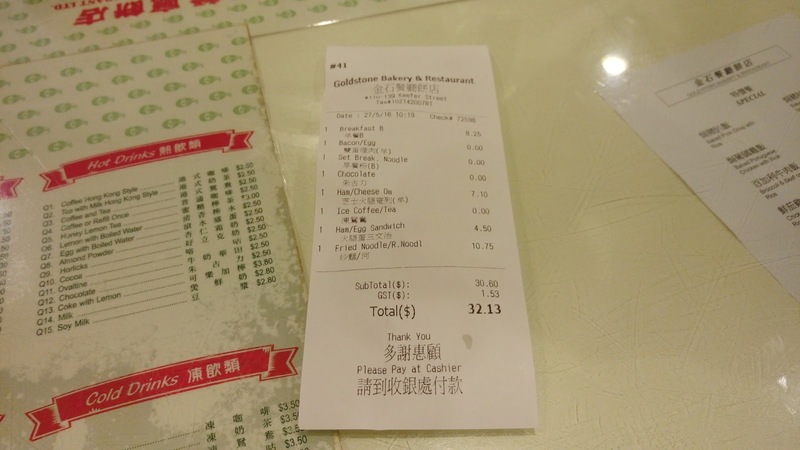 Since we were near Chinatown, we ended up at one of our go-to places, Gold Stone Bakery & Restaurant 金石餐廳餅店. 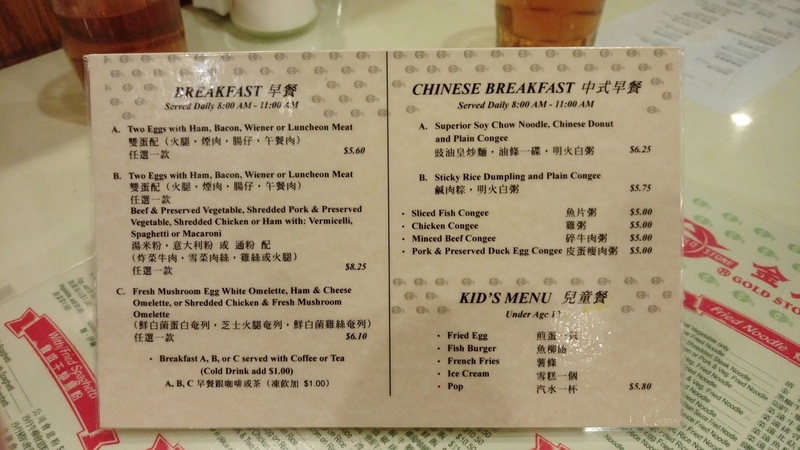 Growing up, whenever my aunt and uncle babysat my little brother and I (pretty much every weekend), this large Chinatown cafe was our canteen. We visited so frequently to the point that all the servers knew us by name, what we wanted to order and what our preferences were. Decades later, the little girl became a fat woman, and some old time familiar faces still recognized me, only these days, there's a fat man accompanying me, Buddha Boy. Owned by a Chinese family from Macau, did you know that Gold Stone 金石 originally started in Richmond? Buddha Boy and I each ordered a breakfast combo so we had two drinks included in our meal. 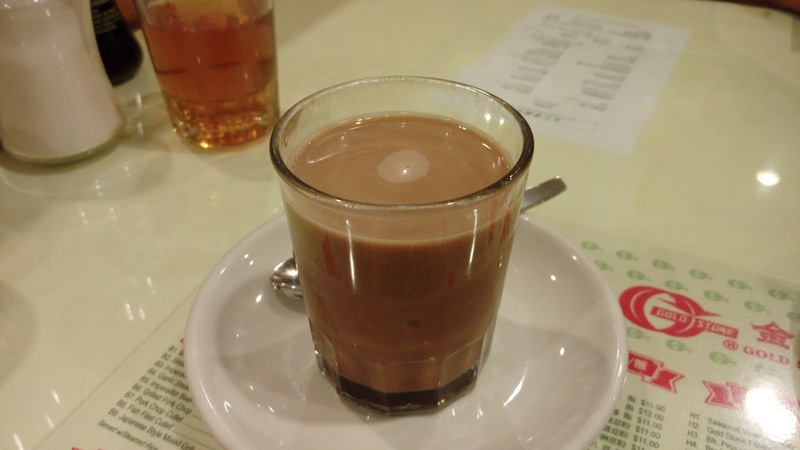 Buddha Boy had a cold Coffee & Tea 港式鴛鴦 and I had a Hot Chocolate 熱朱古力. Both drinks were rich and solid. 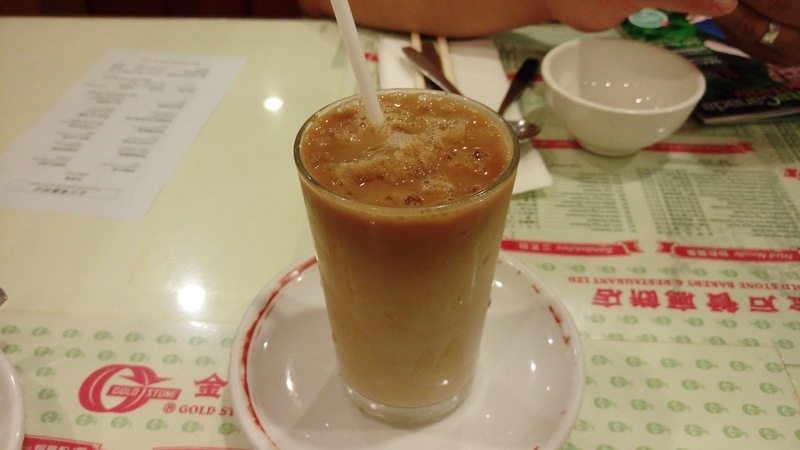 Other than its volume sizes shrunk over the years, the drinks at this Chinatown cafe never failed us. Buddha Boy started with Breakfast #C and opted for Ham & Cheese Omelette 芝士火腿奄列. 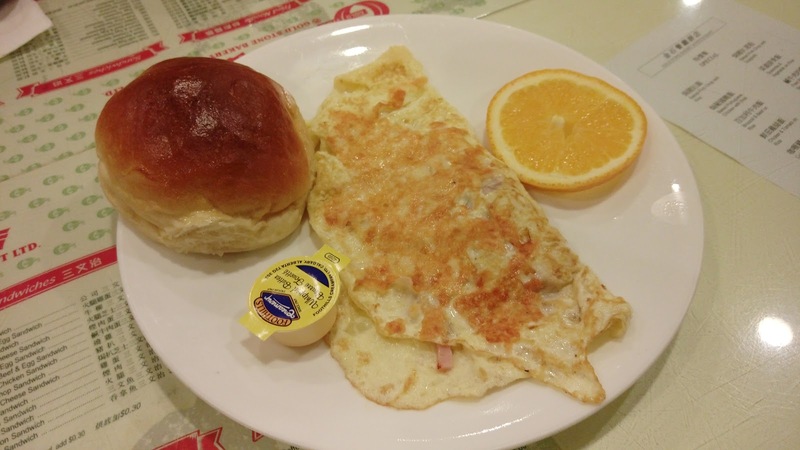 For $6.10CAD, the two-egg omelette had considerable amounts of shredded ham and cheese accompanied by a drink (mentioned earlier), a slice of orange and a bun. 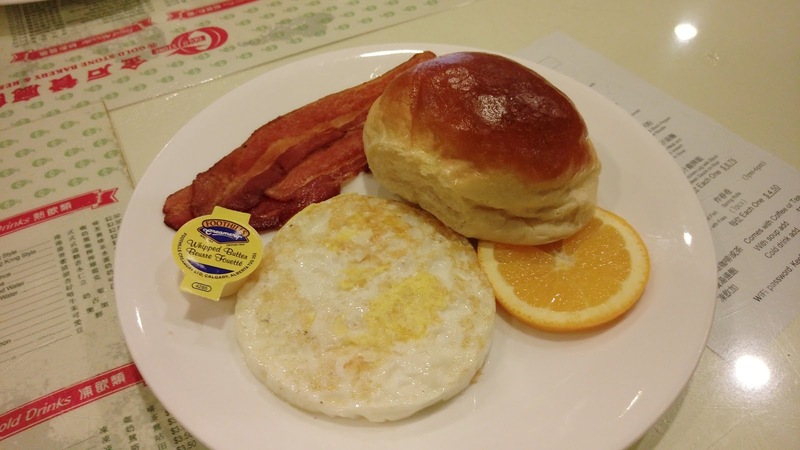 For $8.25CAD, I started with Breakfast #B, which had a two-part deal. For the first part, I opted for Two Eggs with Bacon 雙蛋配煙肉. Just like Buddha Boy's combo, this also came with a drink (mentioned earlier), a slice of orange and a bun. The eggs were over-hard, by request. The second part of the deal was some kind of carbs in soup and I chose Shredded Pork & Preserved Vegetable with Vermicelli 雪菜肉絲湯米粉. 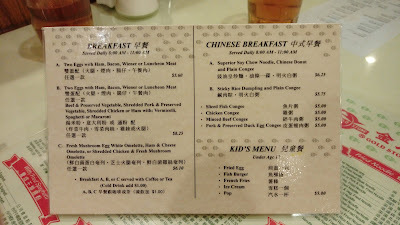 As you can see from the photo, this was a sizeable breakfast portion with ample amount of well-marinated shredded pork. Unfortunately, the preserved vegetable was a bit too sweet. Noodles were al-dente. 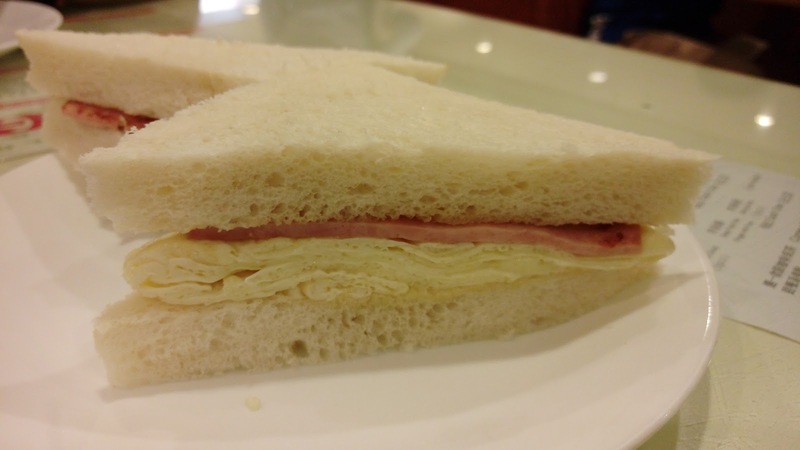 I also added an order of Ham & Egg Sandwich 火腿雞蛋三文治, a must for me whenever I visit this cafe. So what's so special about this sandwich? Absolutely nothing. It's just comforting food for me. 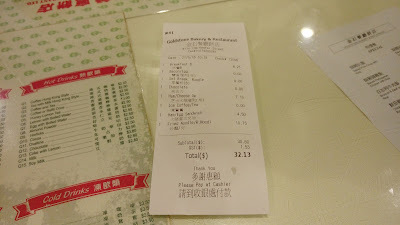 Including tax, our bill was $32.13CAD after Buddha Boy added a take-out noodle dish for lunch later. 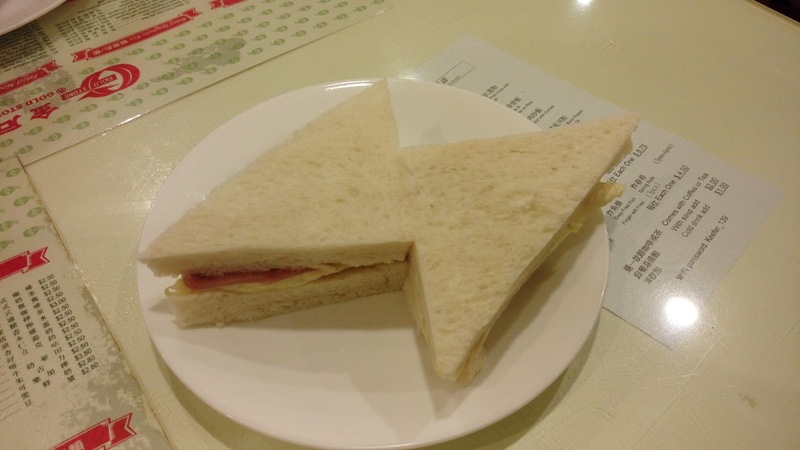 This HK-style cafe is one of the odd places where service is detectable and noticeable. 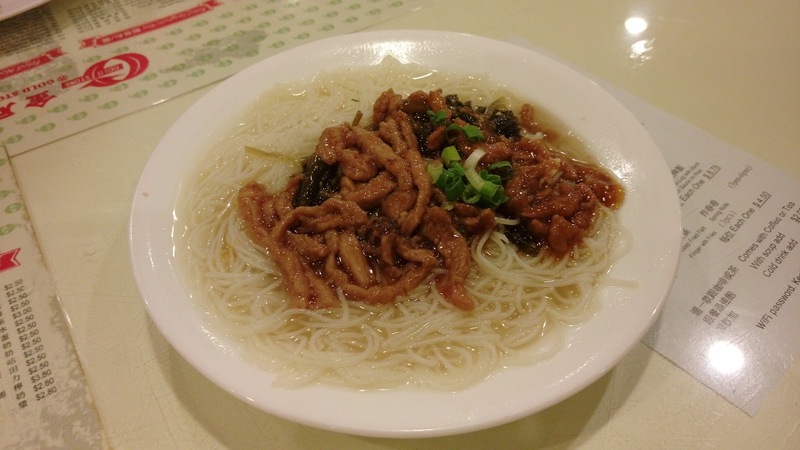 Not only the food delivery is quick, this place also has one of the best wok-hei 鑊氣 in 604.